Student organisations affiliated with the Brussels Student Society (BSG) can submit their request to use the tent to BSG. They must do this at the start of the academic year. Final allocation of the tent is done through lottery arrangements. 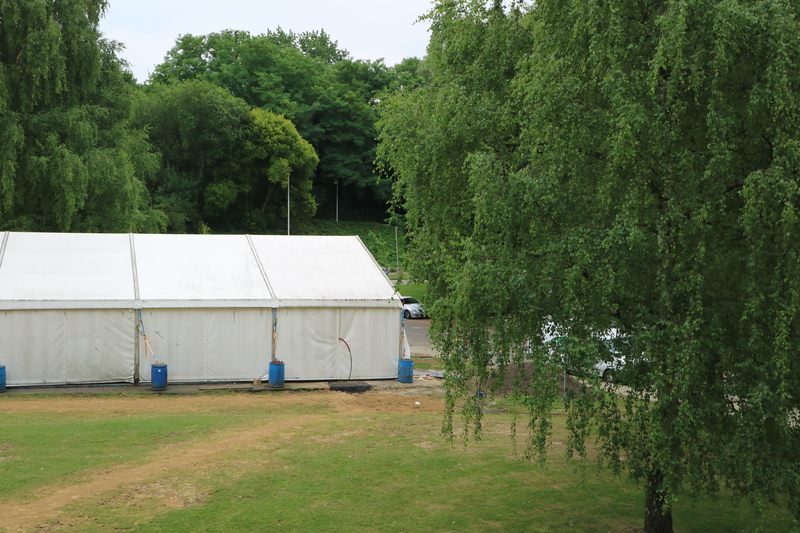 Then, the BSG will apply for the use of the tent at the department Infradesk. On the day of the tent party the security guards will check whether the conditions of the safety plan and the floor plan (see below) have been met. The safety plan serves as a guideline when organising a party or event on campus. It indicates the most important elements when it comes to safety and organisation. Every organiser needs to hand in the completed safety plan (only available in Dutch) and floor plan (only available in Dutch), at least 14 days prior to the planned party, via e-mail to Infradesk. As soon as the safety plan is approved, all other VUB-departments involved in supporting events or parties, will be notified of the plan. This allows them to incorporate the event or party in their own planning and to provide the necessary support for the organisers, if requested. Electricity and water need to be requested in a separate e-mail to Infradesk, by specifiying in the subject that it concerns a request for electricity and water. Clearly state the name and date of your party in your e-mail.